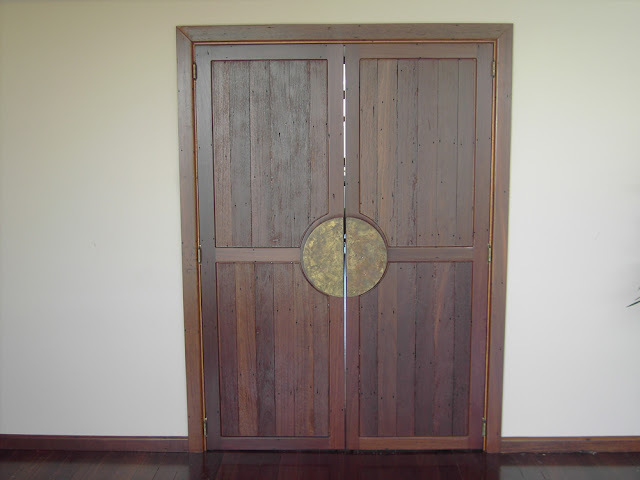 Andrew and Catherine Johns renovated their Berner Street home and wanted to recycle some of the original timber floorboards to create a pair of feature doors. 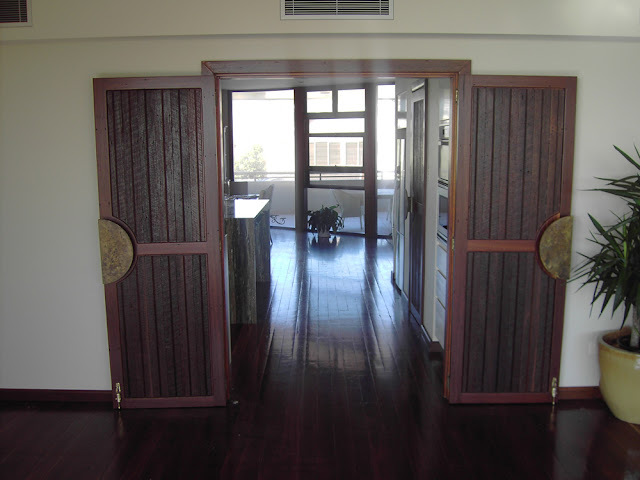 The 90 year old iron bark floor boards were de-nailed, sanded back, stained and finished with a natural oil. 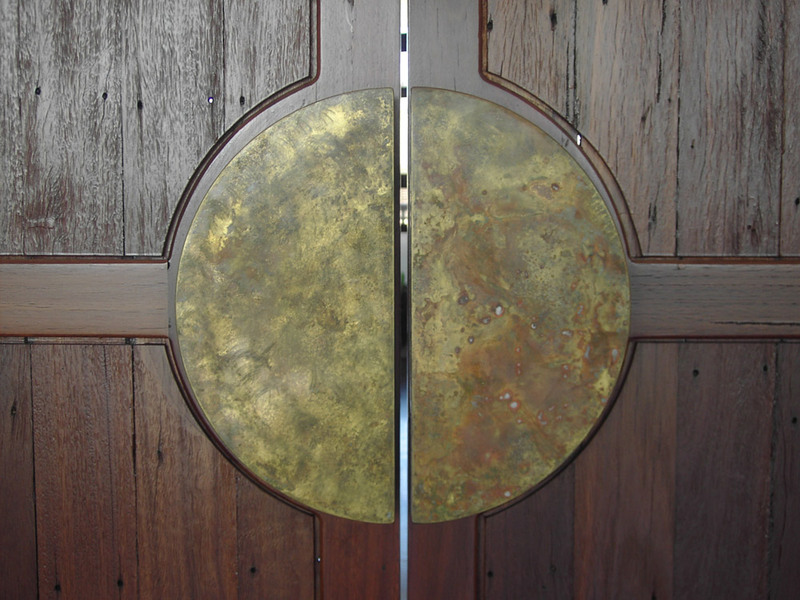 Large brass handles were designed and developed with local metalworkers, Imagiron.